Wishing you an efficient new year! Welcome the new year with some simple, but very powerful feature. Select all text, right click – choose Paragraph… and change the line spacing to 1.5 lines. The text looks beautiful now. Color it as required. 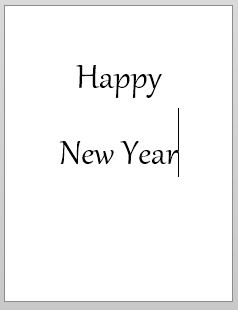 You can put more visual effects if you have Word 2013. But even in Word 2010 will provide many formatting options. 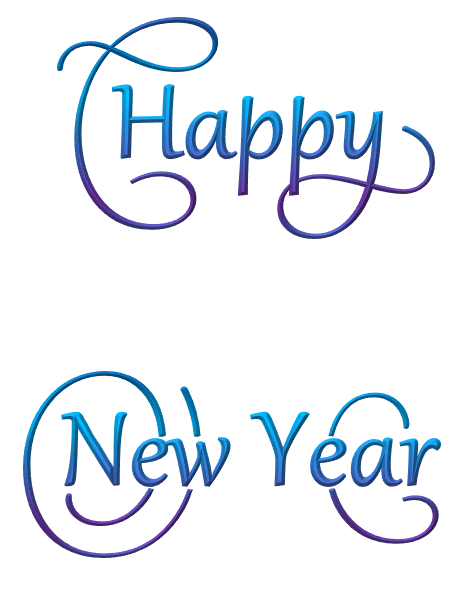 Just type different words while the font and stylistic set is applied to see how nice it decorates the words. Calibri, Cambria, Consolas, Impact and Gabriola fonts have OpenType features. Stylistic sets are available in Impact and Gabriola. Stylistic sets are numbered 1, 2, 3.. You have to experiment with each set to see how it looks. 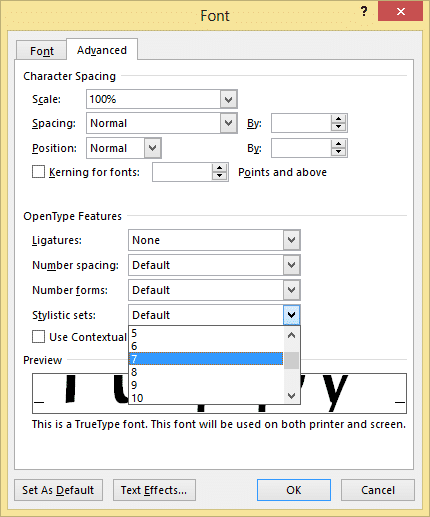 For details on OpenType features, read this blog post from Microsoft. But all open type fonts do not have stylistic sets. Gabriola font is included with Office and has stylistic set. That is why it is your best choice. However if you have other fonts, you should find out if they also have stylistic sets. Usually, professional fonts with a PRO added in their name have these extra features. Technical Details about OpenType fonts are here. CSS can use typography related attributes. You can learn them in this section of MSDN. I am using Office 2013. Gabriola is not showing opentype features – stylist sets option is turned off. Is the document in Compatibility Mode? send me a sample.. Send me a sample document.